Money and marriage can be tricky, but it doesn’t have to be that way. I have invited Elle Martinez back! 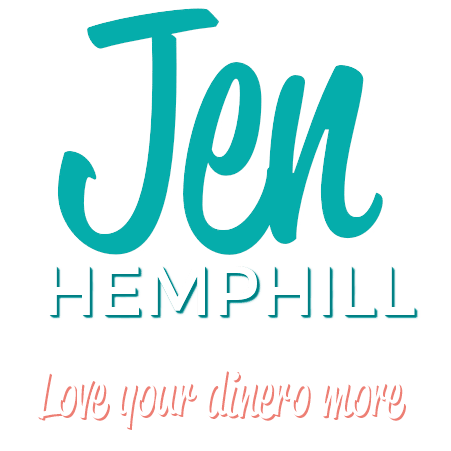 She is the host of the award winning Couple Money Podcast and blog to give us some golden tips on helping how to jumpstart your marriage & money or reboot it (in terms of money, of course). With June being a popular time for weddings and honeymoons, the subject of marriage and money seems very appropriate. Elle started her blog based on her own personal need for information, after discovering that there was a lack of it on the world wide web. Years later, she began the podcast after her busy audience shared that they would love to have the flexibility to listen to her on a podcast. 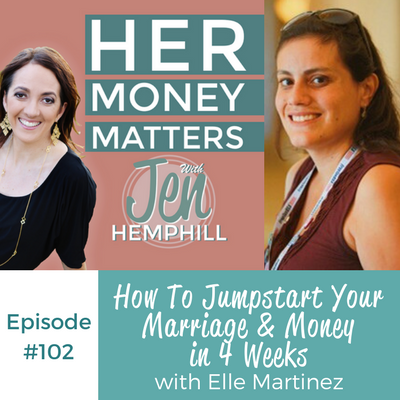 Elle wrote her book Jumpstart Your Marriage and Money to address the extra layer of complexity that comes with marriage and dealing with money. There are many personal financial book that are excellent, but few that help the reader know where to start. Elle wanted to write a concise guide to help a busy couple know exactly where to start. Information overwhelm stops a lot of couples who would otherwise make progress with their money. This book is well suited for newlyweds to help them start off on the right foot. It is also great for couples that are ready to reboot, who want to get on the same page, stop having the same arguments over and over and make some real progress towards financial independence. Since one of the biggest problems couples face is how to start the conversation, the book has questions that couples can use to break the ice and encourage them to work together in conversations, and provides a framework to follow. In the book Elle also refers to money dates, and how to get on common ground with the big goals a couple has. Well intentioned couples so often start with the numbers when really it should be the opposite – Elle suggests to approach the process as if they are planning an epic getaway. “What would you love to do together?”, and then plan it out to get excited about your money. From that excitement, they can work backwards and have the clear vision of what they want to do with their money. Commonly, successful couples had a vision that was so strong it pushed them through the tough times. 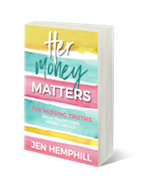 Elle shares that Chapter 4, entitled Making Your Money Work for You (in the second week), is the most critical chapter in the book for married couples. This is the chapter that shows how to automate your money to ensure the important things are being taken care of. It is Elle’s hope that readers come away from reading the book feeling as if they are a teen. Usually one person takes the lead on the finances, but both of them should be a part of the conversations and the goals, in essence bringing strengths and weaknesses together. When one person isn’t engaged or working with the other, often times it is because they are not on the same page. That first conversation is crucial to setting up expectations. It could be as simple as they agree on the goal, but not on the approach. For Elle, the most rewarding aspect of writing of book has been the positive feedback from those who have already read it in the early phases. She is also very proud of the design and the workbook-like feel it has, enabling couples to go through it step by step, at their own pace. The book will be launched on June 13th 2017. For those wishing to pre-order, go to https://couplemoney.com/jumpstart-marriage-money-book/ and pre-order, then send your receipt to Elle and she will give you free access to her course! This week’s shout out goes to Angel: She shared recently how with her husband they were able to tweak their own system utilizing rewards earning credit cards to make purchases beyond what they have budgeted for. This is a visual representation of any budget overages while earning money back and a reminder to stay on budget. Way to make a system work for you Angel! !